UFC featherweight Cole Miller signed a new four-fight deal with the promotion, which may lead him to a fight with brash Irishman Conor McGregor. Miller (21-8) broke the news on Wednesday via Twitter. Just signed a new 4 fight contract with the @ufc. Can’t wait to get back to work this year. The American Top Team training fighter appeared on the fifth season of The Ultimate Fighter reality series in 2007. He’s gone 10-6 in his seven-years with the organization, earning four Submission of the Night bonuses and one Knockout of the Night award. The 29-year-old Georgia native is currently riding a two-fight winning streak. 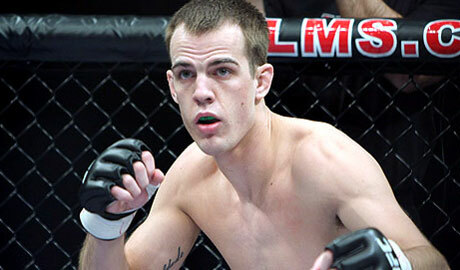 He submitted Sam Sicilia in his last outing on Jan. 15 at UFC Fight Night 35. A grudge match between Miller and McGregor is reportedly in the works for July 19 in Dublin, Ireland, McGregor’s hometown. Miller recently admitted to UFC Tonight that he has been approached about the potential match-up, but won’t believe it until he has the bout agreement in hand.